Seventy Two (72) USFIRST® FIRST Tech Challenge teams from 12 states - Maine through Virginia - will compete in the inaugural East Super-Regional Championship Tournament at the York Expo Center, York, PA. The 'East' is one of 4 of the new Super Regional competition tier where teams from all over the US will compete to advance to the FIRST Tech Challenge World Championship in St. Louis, MO April 23-26, 2014. This years challenge "Block Party" is an exciting game for competitors and spectators alike! Attendance to FIRST events is free and open to the public. The Philly Robotics Expo (PRX) is an annual robotics expo that is hosted by the RoboLancers and the GRASP Lab of the University of Pennsylvania. PRX showcases the field of robotics at multiple levels to students in the Philadelphia area. Exhibitors include both professionals who have experience in advanced engineering and students who will one day work alongside them. High schools from the Philadelphia area share their competition experiences and show off some of their robots. There is also robot building, programming workshops and robot demos run by the RoboLancers and GRASP Lab robotics demos for Philadelphia students. The Science and Technology Wing and Women in Computer Science host the University of Pennsylvania's annual Robotics Fair. In this fair noted professors from the university will talk about all that is robotics, and leading researchers will demo their cutting-edge projects. 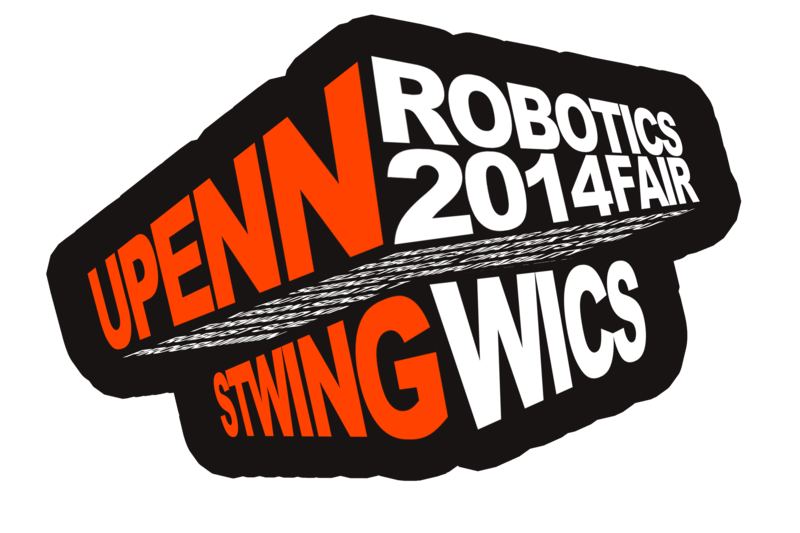 Come and see robotics at penn, and share your enthusiasm about technology with others! Event will be catered by Chipotle. This event is open to the public but a valid ID is required to enter the building. This breakfast briefing will celebrate robotic business owners, researchers, and students and provide them with an opportunity to network with the general public, interact with their peers, and hear from a group of robotic experts from various industries, and see demonstrations. Attendees will also have an opportunity to tour AlphaLab Gear's awesome facility and mingle with a group of robotic and hardware entrepreneurs that recently launched companies. The Robotics Institute at Carnegie Mellon University will celebrate the fifth annual National Robotics Week beginning on April 10th with the Teruko Yata Memorial Lecture with special guest speaker Marc Raibert, Chief Technical Officer & Director of Boston Dynamics followed by a satellite screening and performance of the Robot Film Festival. The celebration will continue on April 11th with project demonstrations, lab tours, the annual Mobot (mobile robot) races and a reception for Robotics Institute affiliated people. Come and learn more about the FIRST Family of Programs with FTC7244-Out of the BOX Robotics! Jr.FIRST Lego League - stem program for K-Gr.3, FIRST Lego League - stem program for Gr.4-8, FIRST Tech Challenge - stem program for Gr.7-Gr.12 & FIRST Robotics Challenge - stem program for Gr.9-Gr.12. What is involved? How to get started? Local contacts and more. PA-TSA VEX competition will be part of the PA-TSA State Leadership Conference. PA-TSA will be running a "Skills Only" event like the TSA National VEX Competition. This will be the Mid Atlantic Robotics championship event to determine who goes to the FIRST National Champs event from the Mid Atlantic Robotics District. (PA, NJ, DE). Up to 56 teams will compete in FIRST 2014 Arial Assist Game. See 140 lb. robots built by high school student FRC teams compete in 3 team alliances. These robots have to inbound a 25 inch ball, pass, and shoot into a 7 foot goal. Think basket ball on steroids!!! This event will be held at the Stabler Arena. If you come bring safety glasses to tour the pits. Kids will love to interact with students. Ask questions about how it all works. The International Space Apps Challenge is a two-day hackathon where teams of technologists, scientists, designers, artists, educators, entrepreneurs, developers and students across the globe collaborate and engage with publicly available data to design innovative solutions for global challenges. It will be hosted at TechShop in Pittsburgh, PA on April 12-13, 2014.The event embraces collaborative problem solving with a goal of producing open-source solutions to global challenges. One of the main challenge categories is robotics. SWPA BotsIQ is an educational robotics competition for high school age students. It provides these students with a unique, hands-on experience that allows them to discover the possibilities of a career in the manufacturing sector, and other science, technology, engineering, or math (STEM) fields.